101,769 tourists visited Malta in March, an increase of 4.1% when compared to March 2014. National statistics estimate that 101,769 tourists visited Malta in March, an increase iof 4.1% when compared to March 2014. 75,736 visits were carried out for holiday purposes, while a further 11,757 were undertaken for business purposes. Inbound tourists from EU Member States went up by 7.3% to 87,112 compared to last year. The largest proportion of inbound tourists were aged between 45 and 64, followed by those within the 25-44 age bracket. Total nights spent went up by 5.5% when compared to March 2014, reaching 724,223. The largest share of guest nights was spent in collective accommodation establishments. Total tourist expenditure was estimated at €78.1 million, an increase of 6.4 per cent over the corresponding month last year. Inbound tourism from January to March amounted to 250,565, an increase of 7.7% over the same period in 2014. Total nights spent by inbound tourists went up by 5.8%, reaching 1.9 million nights. During the first quarter of this year, total tourism expenditure was estimated at €192.1 million, 8.9 per cent higher than that recorded for the same period in 2014. Total per capita expenditure stood at €767, an increase of 1.2% when compared to 2014. 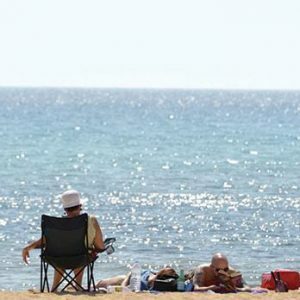 In a statement, Tourism Minister Edward Zammit Lewis welcomed the results as good news for the government’s efforts to increase tourist arrivals in the winter months. “In the first two years under this government’s administration, tourist arrivals between January and March have increased by over 16%, while tourism expenditure increased by 17.4%, equivalent to an increase of over €28 million that was directly injected into the economy,” he said.